This marvelous traditional Thai umbrella is similar to those used to shade the Siam kings and queens of the past centuries. 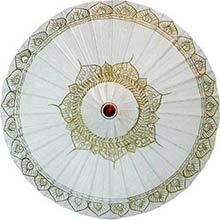 This marvelous traditional Thai umbrella is similar to those used to shade the Siam kings and queens of the past centuries. It features a gorgeous Thai traditional gold pattern design against an all-maroon background color, which we refer to as oxblood. The color maroon has a strong resemblance to red-brown, which is typically related to the color of mother earth. Maroon is also associated with healing and the power to keep away evil spirits. Gold is a color strongly tied in with health, spiritual riches and royalty. 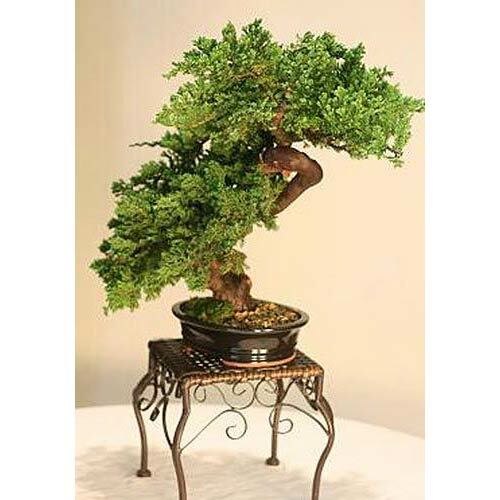 It has been used in Buddhist art and culture for more than 2,000 years. One of the most striking colors, gold is still associated with divine principles (such as the golden ratio of phi) and things of high value (think gold cards or the golden goose or King Midas). 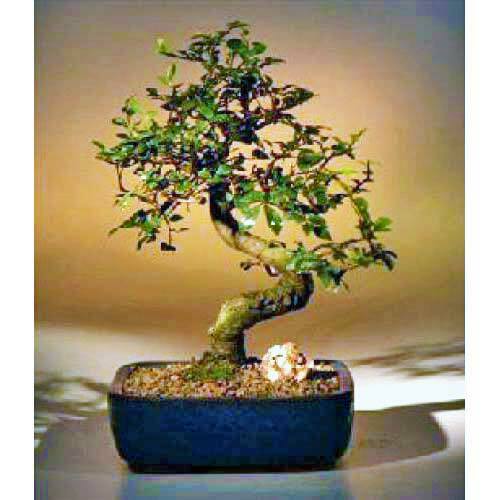 It is also linked to the wisdom of aging, such as the 50-year wedding anniversaries and the "golden age" referring to the height of civilization. This beautiful traditional umbrella combine s both maroon and gold, making it a magnificent way to decorate or be seen in high fashion. 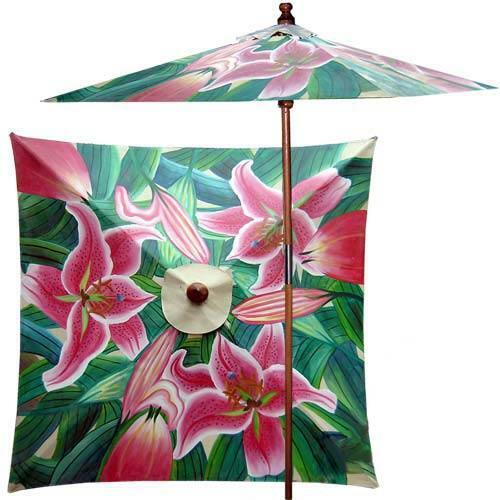 Made from sturdy bamboo and oil-treated cotton fabric, this hand-painted and handcrafted umbrella is not only a joy to see but is durable as well. 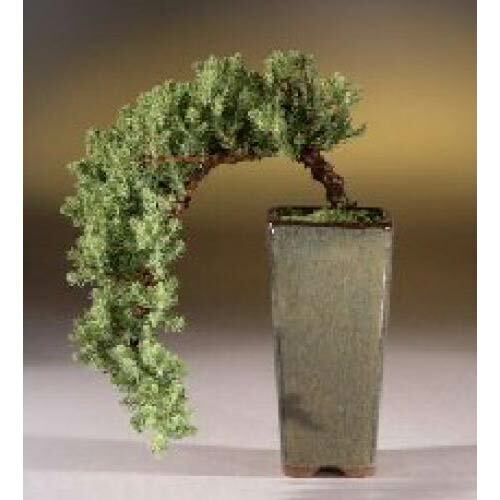 Use it as decoration in a corner of your floor or hang upside down from your ceiling. 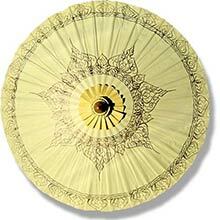 This Thai umbrella is also ideal for shading you from the sun and will not allow light to pass through. At 35 inches in diameter, it is large enough to block out the sun for most people. 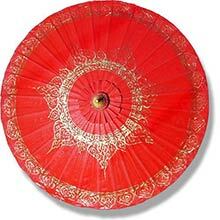 The tradition of umbrella making in Thailand extends back hundreds of years. 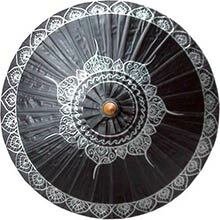 The artists who create these umbrellas take great pride in their work and they are meticulously made entirely by hand. We have intentionally sourced the highest quality umbrellas the country can offer. 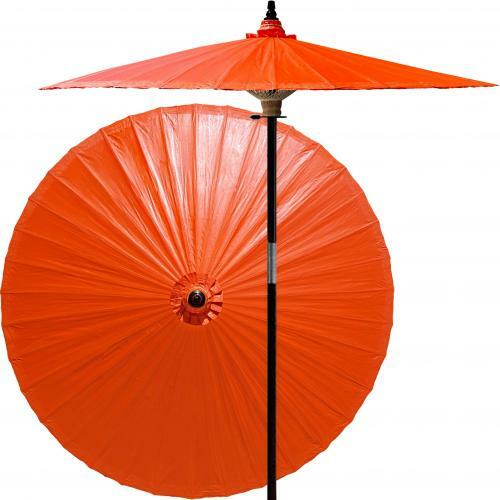 Our line of traditional Thai umbrellas is also offered in the colors of cream, red, black and white. This is the same colour as in the picture (which sometimes they can be off from monitor to monitor) The product is uber cool, folds up nicely, is well made and will keep me shaded from the sun and if there is a bit of rain, keep that off too. 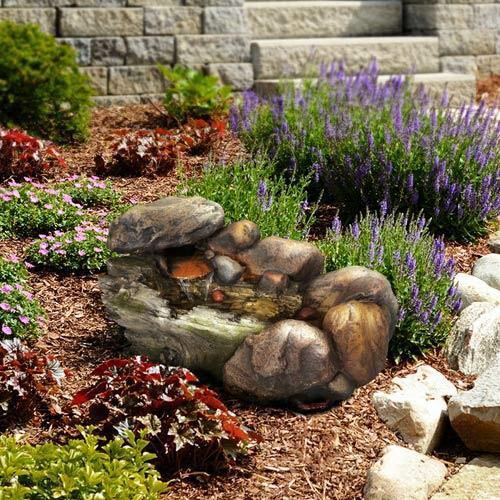 Service was excellent, the order I made arrived in 2 days from ordering and customer service was EXTREMELY good at telling me where my order was in process. I would not hesitate to order more. I have told many friends already and plan to tell more! I have not experienced such excellent service in a long time. Thank you for your prompt order inquiry emails and such quick delivery. I am really impressed and am currently telling my friends and will show many the awesome umbrella you sent tonight at practice. I am truly impressed. You're viewing our Oxblood Traditional Thai umbrella. This is a beautiful umbrella in the oxblood color (also maroon or burgundy). And here's the top of the umbrella which is a 35 inch diameter across. You can see the beautiful pattern that is all hand-painted by our master artisans. That's a gold design, and you can see underneath the pole is made of bamboo. The intricate stitch work the shade is opaque so you can use as protection against the sun. 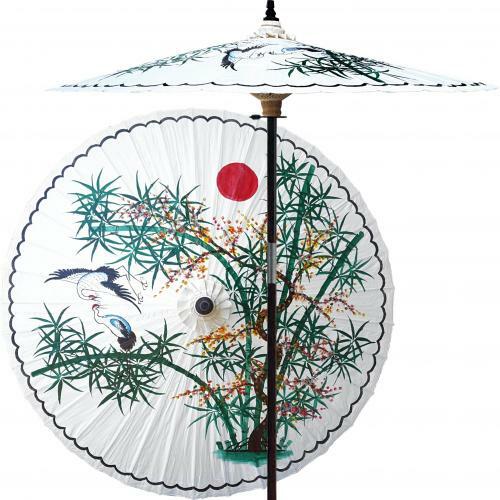 If you use it for cosplay or you can use this umbrella as decoration, or just to make a really cool fashion statement. And that shade is made of an oil treated cotton material rendering it water-resistant, so if you get caught in the rain you don't have to worry. 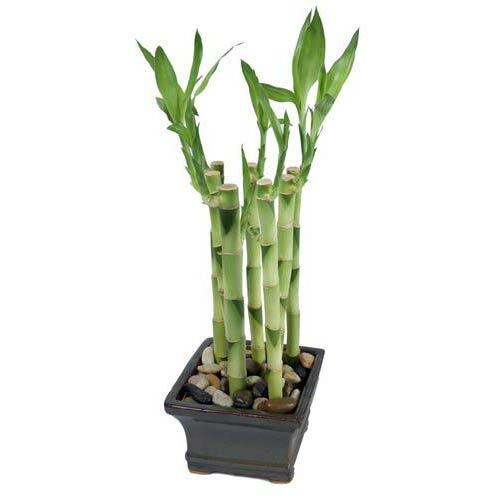 And the pole is actually 26 inches long from the very bottom to the very top. This is a manual lift umbrella, very easy to open and close. And then you just close it and there's a ring at the bottom just put that over it and there you go.